For an intense team-building experience, why not lock everyone in a room and have them work together to escape? That’s just what you’ll do at Escape Rooms HQ, the premiere escape room facility in the Dallas/Fort Worth Metroplex. Carefully designed to force everyone on your team to work together, Escape Rooms HQ presents your crew with a series of obstacles, riddles, and tasks that will demand that everyone contribute, from wallflowers to extroverts, CEOs to assistants. You will have to listen to each other’s ideas, collaborate, and work strategically while you race the clock in order to escape the locked room. Escape Rooms HQ also offers fully-equipped conference rooms in modern digs, catering options, and more. That way, you can host both your meeting and team-building activities in the same convenient spot. Contact the Escape Rooms HQ folks today to get your next team outing scheduled. Local favorite Pinstack is a massive amusement park for kids at heart of all ages that takes team-building seriously. In fact, the folks at Pinstack have designed a whole suite of team-building packages. Options include riffs on popular game and reality shows, like Amazing Race, where teams have itineraries filled with clues and are given tools to win the race. 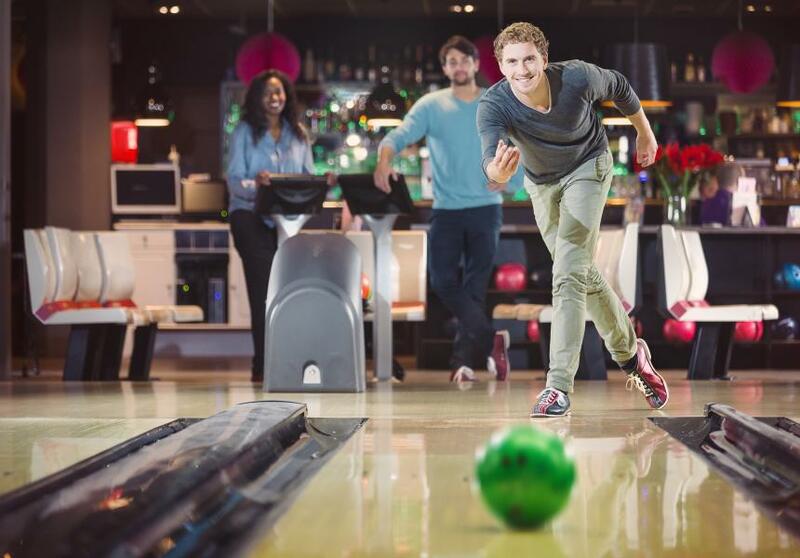 Other activities include team bowling, rock climbing, and bumper cars. Or, sign up to do a mock Iron Chef competition. Here, coworkers and bosses alike go head-to-head in a cooking battle to determine the ultimate culinary master. Some packages are even designed to support charitable causes, like the Fight Illiteracy Philanthropy Package. For this challenge, your group will build chairs for underprivileged schools. There are many other creative packages to choose from. 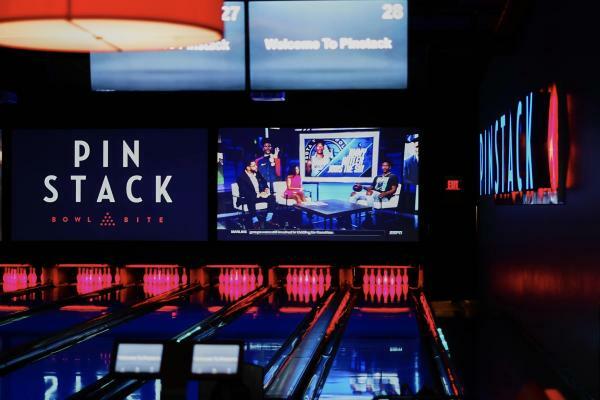 Or, you can customize your own team-building event by picking and choosing from any of the amusing activities found at Pinstack. With a full-service restaurant and bar, there isn’t anything missing at Pinstack. The remarkable space that is the Toyota Music Factory is perfect for Irving team building. 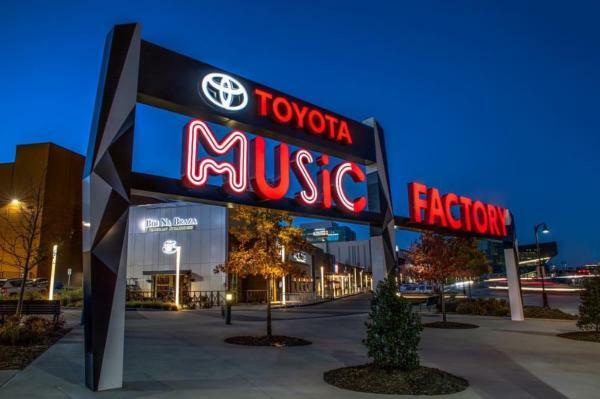 With dozens of restaurants and bars, including the Alamo Drafthouse Cinema and The Pavilion at Toyota Music Factory, a massive amphitheater hosting live shows all year round, Toyota Music Factory is an entertainment powerhouse. And, sometimes after a long day of meetings, the best thing to do to build team rapport is to unwind together. So bring your group here for some fun Irving team-building: go to a concert together, attend one of the special quote-along movies at Alamo Drafthouse, or set up a private showing of a new movie of your choice just for your team! Enjoy cold beers at Yard House, martinis at Bar Louie, or delicious food and drinks at Thirsty Lion Gastropub and Grill. At Toyota Music Factory, the options are limitless. When you bring your team to town, take advantage of some of these Irving team-building activities that will leave everyone feeling inspired!